Looking for packing boxes in Gold Coast North? Then look no further than Hire A Box! 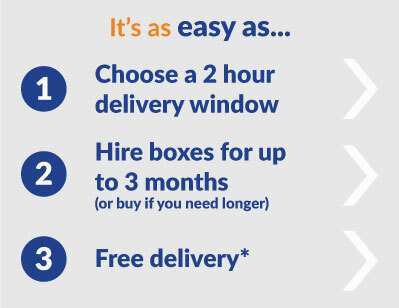 Here at Hire A Box we offer an excellent solution to get cheap boxes QUICKLY. 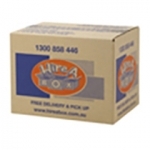 We rent and sell packing boxes in the Gold Coast Northern suburbs including Coombabah, Coomera, Helensvale, Hollywell, Labrador, Paradise Point, Parkwood, Runaway Bay, Southport and Tweed Heads. Hiring moving boxes on the Gold Coast saves you up to 30% on your moving costs. 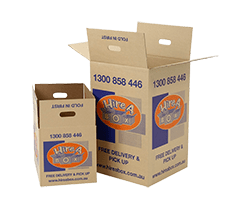 FREE DELIVERY, TOP-UP and PICK-UP – order hire boxes to the value of $65 and receive free delivery all around the Gold Coast metro area. If you run out of boxes, give us a call and we will do a second delivery for free. Once finished with the boxes, give us a call and we’ll come get them from the new destination. Online bookings can be made 24 hours a day. Delivery in Gold Coast North can be made the next morning – when you order online you can see the driver availability and choose a time that suits you perfectly. Alternatively, give us a call on 1300 858 446 between the hours of 9am and 5pm Monday to Friday and we can place your order for you.